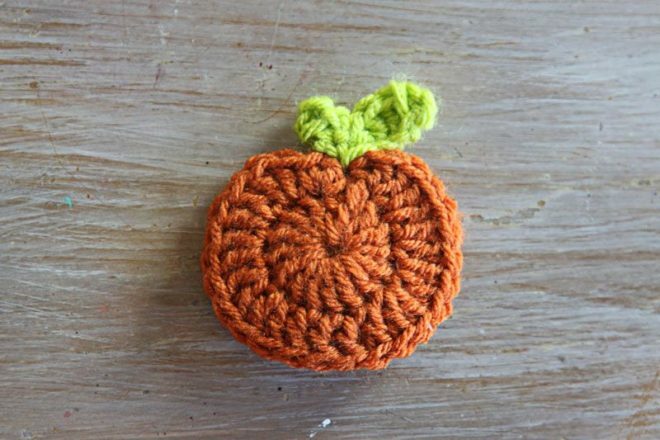 This adorable Crochet Pumpkin Applique is so easy and makes a perfect gift. I have one on a coffee cozy and one on a beanie for the new baby. 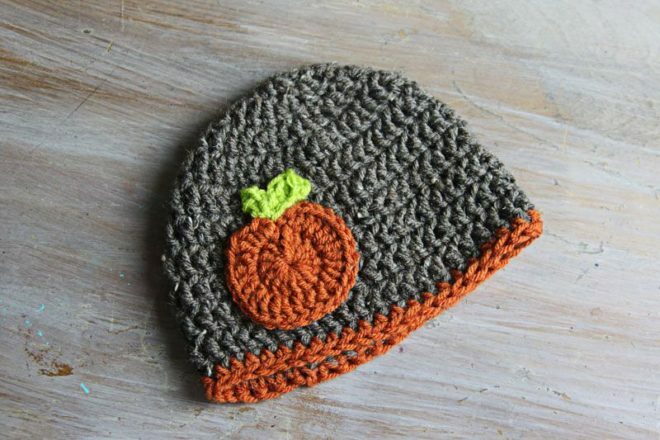 It would also be cute on a crocheted ear warmer headband. It is FINALLY starting to feel like Fall around here!! October is NOT supposed to have 90 degree days. 70s & 60s yes, 80s & 90s no. Does it feel like fall in your neck of the woods yet? Today I have a fun video tutorial for you! My cousin helped me out on this one. She knows how to crochet and I don’t so I let her work her magic and I filmed it for ya’ll! 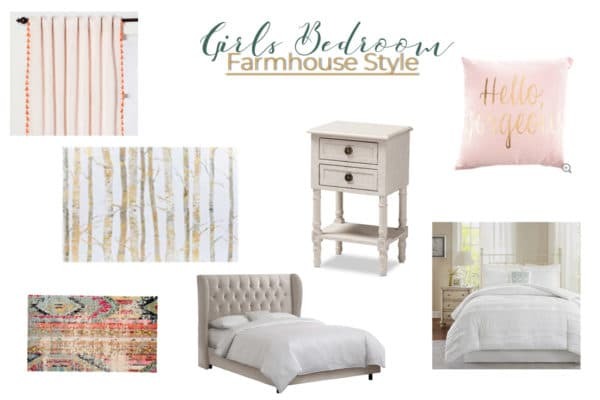 It was a lot of fun to work on this DIY project with her. Hopefully, we’ll be bringing more, easy DIY projects to you soon! How cute is this?!?! Here’s how it looks on a coffee cozy…. 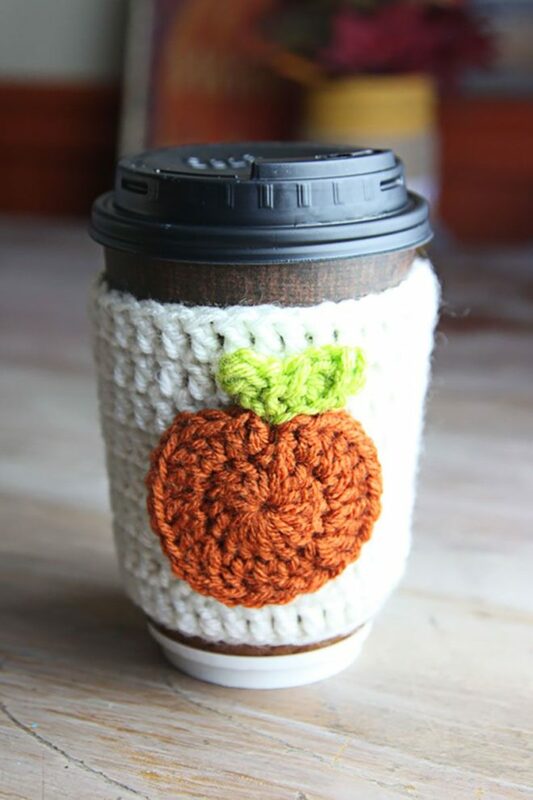 The original crochet pattern can be found at Painting It Purple and you can also see how to make the coffee cozy there as well. 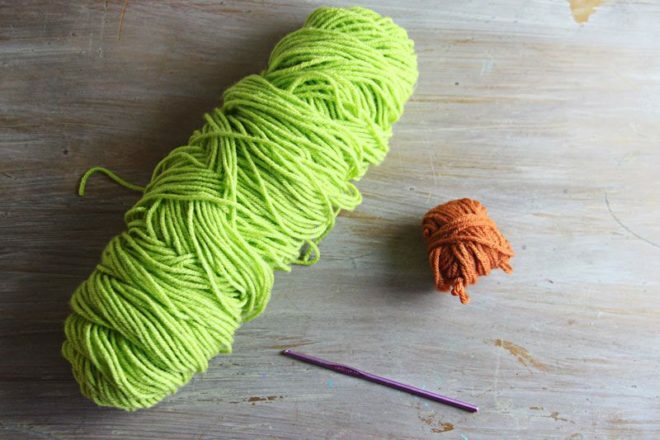 Supplies you need… green yard, orange yard, and a 4 mm crochet hook. 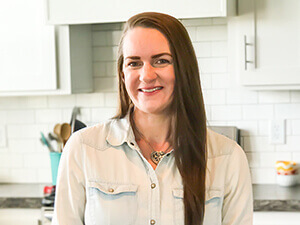 You need to know a chain stitch, slip stitch, single crochet, double crochet, and magic loop. I am obsessed with this thing right now! SO FUN!! Watch below to see how to crochet the pumpkin. Do you know how to crochet? Tell me in the comments below ↓. So cute! I am terrible at crocheting in rounds! Thanks! I am terrible at crocheting period! lol! I’d love to learn though! Omigosh, this is SO cute! I wish I could crochet. Thanks!! I want to learn so badly, just haven’t made the time. That is SO adorable! 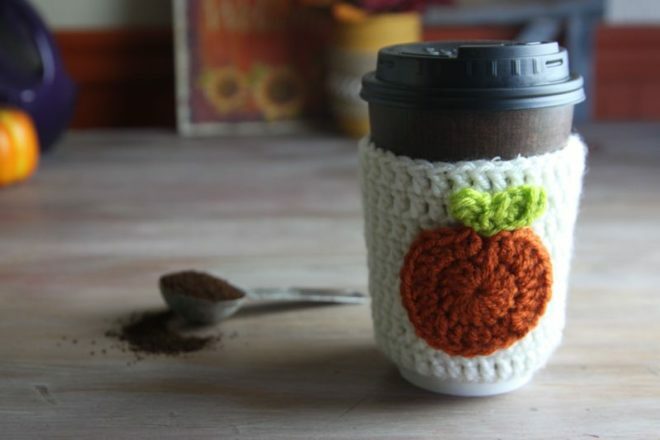 I especially love the coffee cozy!